This resource is currently not available for digital download for GoThereFor members. Find out more. If you've been a churchgoer for more than just a few Sundays, walking into church probably doesn't seem like it deserves its own 'how to' manual. Right? In fact, it most likely seems like a pretty straightforward and trivial weekly activity. But things are rarely as simple as they seem, and how you walk into church reveals a great deal about what you think church is, what it's for, and what you think you’re doing there. In How to Walk into Church, Tony Payne helps us think biblically about church. Along with giving plenty of other practical advice, he suggests a way to walk into church that beautifully expresses what church is and why you’re there - a way that every Christian can master. If you go to church, this Brief Book is for you. 2. What is this thing we call ‘church’? 3. Why am I walking into church? This book is a great idea. It's wonderfully practical, helpful, and relevant. I hope we can give it away to our new members. Tony has given us a necessary reminder on the importance of walking into church with the right heart, the right head, and the right spirit. This outstanding book is packed with profound reflection on what church is and practical application of what it means to 'go to church'. I hope every member of St Helen's reads it - it will do us a world of good. How to Walk into Church is so clear, so simple, so straightforward, so practical - and so eternally important! As such, it is a brief must-read for all Christians, and not only for today's "My thumb is always out for a better ride" church hitch-hikers, but for those who find attending church to be a mundane option. Sometimes the simplest things are the easiest to overlook - things like walking into church. How do you walk into church? If you read this little book, I believe you will think about it a lot differently and you will do it a lot better. This is an immensely useful and relevant book. Short, clear, but one that engages with deep theology in practical ways. And although it is obvious there is much more that could be said about church, imagine if everyone lived out the implications of what Tony does unpack? Our gatherings as God’s people would be beautiful and powerful. For most of us our churchgoing - whether regular, occasional, or non-existent - is just an unconsidered part of life. It's something we do, or sometimes do, or rarely do, or never do. But not something we think about so that we might do it with an aim, a purpose, a real intentionality. This clear and engaging book will be a real and practical help. I have myself been challenged by it and hope it will be widely read. If you want to cultivate an ethos of disciple-making, God-centered fellowship, prayer and love for fellow believers, this is a great and valuable resource to put into the hands of all your people. It is clear and practical, encouraging for the mature and challenging for new believers. What if church were about someone other than me? In his characteristically accessible and clear writing style, Tony challenges us with a biblical answer to this important question. It's my hope that fellow-pastors and their congregations will read this book and begin to 'walk into church' with more intentionality than ever before. May God bless these efforts for his glory and the good of all people. 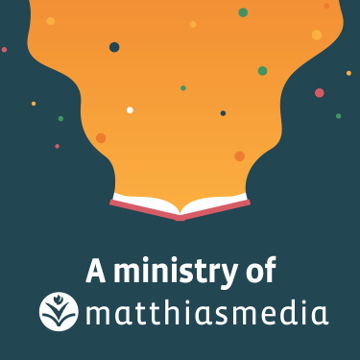 Buy these resources from the Matthias Media online store.